Epson All-In-One Printer Just $49.99! Down From $100! PLUS FREE Shipping! You are here: Home / Great Deals / Amazon Deals / Epson All-In-One Printer Just $49.99! Down From $100! PLUS FREE Shipping! Head over to Amazon to score this Epson Wireless All-In-One Printer for just $49.99 down from $99.99 PLUS FREE shipping! 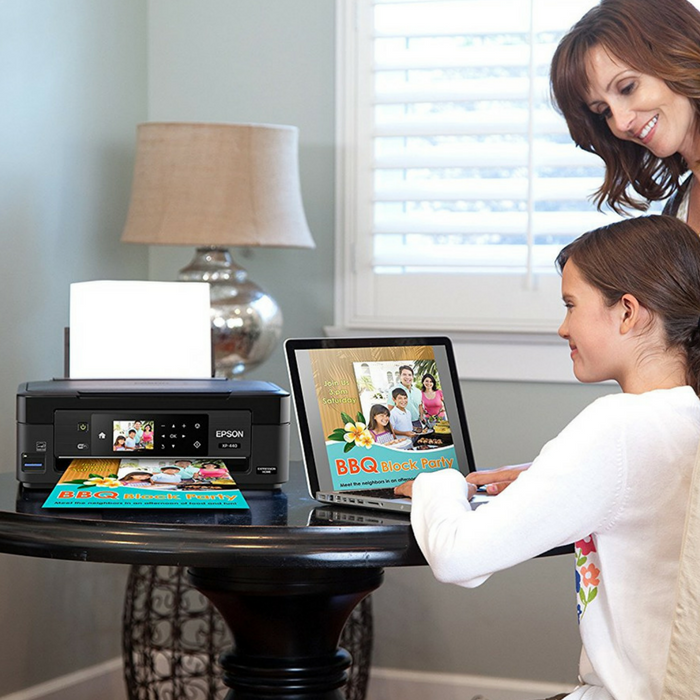 Packed with convenient and practical features, the Expression Home XP-440 Small-in-One printer makes everyday printing a breeze. Its hi-res 2.7″ color LCD makes setup and navigation easy. Use the built-in card slot (1) to print borderless photos PC-free. Plus, affordable individual inks mean you only need to replace the cartridge that runs out. The compact XP-440 allows you to print from virtually anywhere, with or without a network — even from your iPad, iPhone, Android tablet or smartphone. And, its 100-sheet paper capacity means you’ll reload paper less often. You can also print Instagram and Facebook photo collages and more with Epson’s Creative Print App. Simple setup and navigation — large, hi-res 2.7″ color LCD to easily print, copy and scan. Creative Print mobile app — easily create custom borderless photo collages from Instagram, print stationery and more.